Thu., Oct. 26, 2017, 10:32 p.m.
Mead 3, Hanford 0: Lindsey Russell dished out 28 assists and Mead swept Hanford in straight sets (25-12, 25-16, 25-13) on Thursday. Maddie Lee led the Panthers with 12 kills. Gonzaga Prep 3, Chiawana 1: Sophia Bertotti Metoyer had ten kills with five block and Gonzaga Prep defeated Chiawana in four sets (25-1, 25-13, 21-25, 25-15). Kate Budig added 20 digs with five service aces for the Bullpups. Walla Walla 3, University 1: Rachel Schlect had 25 kills and University lost to Walla Walla in four sets (26-24, 22-25, 25-16, 25-22). Joli Poplawski added 19 assists and four service aces for the Titans. Richland 3, Central Valley 0: Richland defeated Central Valley in straight sets (25-16, 25-18, 25-11). Lakeside 3, Newport 0: Lexi Mikkelsen had 16 kills and Lakeside (WA) beat visiting Newport in straight sets (25-16, 25-13, 25-6) to advance to the Distrcit 7 1A finals. Olivia Mikkelsen added 29 assists for the Eagles. Deer Park 3, Colville 1: Taylor Tarble recorded 16 kills and Deer Park beat Colville in four sets (25-16, 25-15, 22-25, 28-26) in a Washington 1A District 7 first round match at Freeman High School on Thursday. Meghan Nicholas added 31 assists for the Stags. Kora Pitts led the Indians with 40 assists, 11 digs and 3 aces. Freeman 3, Deer Park 0: Eva Knight had 12 kills and Freeman defeated visiting Deer Park in straight sets (25-14, 25-19, 25-9) to advance to the Distrcit 7 1A finals. Ailsa Hansen added 30 assists for the Scotties. Taylor Tarble recorded five kills and ten digs for the Stags. 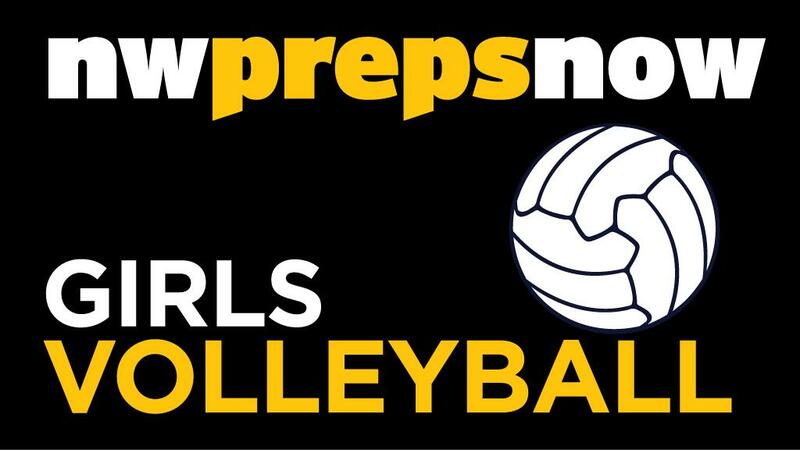 Newport 3, Chewelah 0: Newport defeated Chewelah in straight sets (25-17, 25-1, 25-1) in a Washington 1A District 7 first round match on Thursday at Lakeside High School. Colfax 3, Springdale 0: Carmen Gfeller had 12 kills with four blocks and Colfax beat Springdale in straight sets (25-7, 25-13, 25-12) at Davenport High School. Kylie Kackman added 18 assists for the Bulldogs. Liberty 3, St. George’s 0: Maisie Burnham recorded 10 kills with 11 aces and Liberty defeated St. Georges in straight sets (25-12, 25-12, 25-14) at Reardan High School. Maizy Feltwell added 15 digs for the Lancers. Northwest Christian 3, Asotin 0: Emma Sweatman recorded 14 kills with 15 digs and Northwest Christian beat Asotin in straight sets (25-15, 25-19, 25-18). Abby Lane added eight kills for the Crusaders. Wilbur-Creston 3, Lind-Ritzville/Sprague 0: Lacey Miller had 47 assists and Wilbur-Creston defeated Lind-Ritzville/Sprague in five sets (25-17, 19-25, 12-25, 25-23, 15-9) at Davenport High School. Ellie Gering added 26 digs for the Broncos. Selkirk 3, Inchelium 0: Jenna Couch dished out 17 assists and Selkirk (13-1) swept visiting Inchelium (6-8) in straight sets (25-10, 25-14, 25-23). Whitney Dawson added nine kills and seven aces for the Rangers who won the Northeast 1B league crown. Northport 3, Curlew 0: Hailey Young notched seven kills, six digs and a block and visiting Northport (9-5) beat Curlew (3-12) in straight sets (25-14, 25-17, 25-13). Korin Baker recorded four kills for the Cougars. Wellpinit 3, Columbia 0: Wellpinit (2-10) defeated host Columbia (0-12) in four sets (25-13, 25-27, 25-17, 26-24). Valley Christian 3, Odessa 1: Valley Christian beat visiting Odessa in four sets (25-17, 17-25, 25-18, 25-21) on Thursday in a Northeast 1B league match. Published: Oct. 26, 2017, 10:32 p.m.